The jab was in response to Amazon CEO Jeff Bezos' letter to shareholders, where he challenged his competition to raise their minimum wage for workers. "Today I challenge our top retail competitors (you know who you are!) to match our employee benefits and our $15 minimum wage. Do it! Better yet, go to $16 and throw the gauntlet back at us. It’s a kind of competition that will benefit everyone," Bezos wrote. Walmart pays a minimum wage of $11 that it set in January of 2018 and Amazon recently hiked its minimum wage to $15 in November of 2018. However, inclusive of benefits, Walmart claims that its workers make $17.55 on average. Walmart has offered its workers perks like subsidizing education and loosening its dress code to allow staffers to wear jeans. Amazon received a $129 million tax rebate from the government last year in addition to not paying any Federal taxes. The tax benefits were a result of the Republican tax cuts of 2017, carryforward losses from when the company was not profitable and credits for investments in R&D and stock-based employee compensation. Walmart, in contrast, paid $3.2 billion in Federal taxes in 2018. Amazon had long been under fire from politicians like Senators Bernie Sanders and Elizabeth Warren prior to hiking its minimum wage last year. Early this morning, we documented Amazon CEO Jeff Bezos' challenge to Walmart. But we're not sure that this is an altruistic case of Bezos looking out for the everyday Walmart worker. 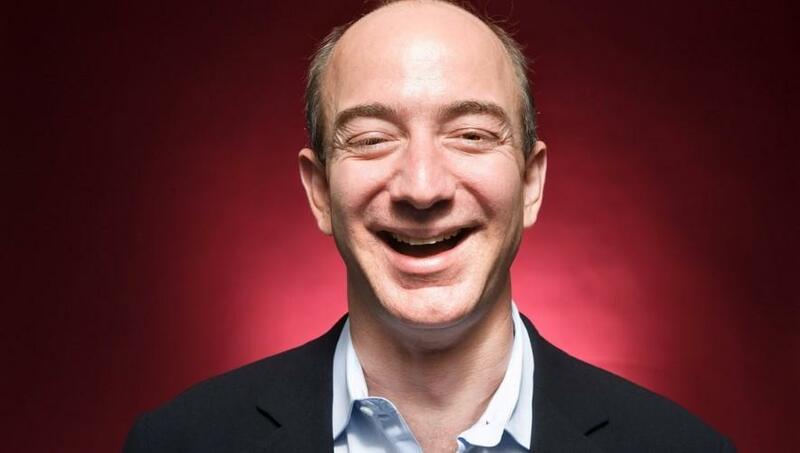 As we said earlier today, we're sure Bezos would love its competitor to have even lower margins while he enjoys AWS' 30% profits - he's not the richest man in the world by complete accident. However, what caught our eye most in Bezos' letter was the irony of his claim that "much of what we build at AWS is based on listening to customers", coming just a day after Bloomberg broke a story that Amazon employees were listening in on what customers were saying to their Alexa devices. You can read Bezos' full letter to Amazon shareholders here.